Meet The Mountaineers Board of Directors, view our governing documents, and learn about our "at large" committees. The Mountaineers Board of Directors is responsible for determining the future direction of our organization, controlling finances, making rules, and determining policy for property and programs. Terms of office vary by position, and elections are held every October to fill vacancies. If you are interested in joining the Board or want more information, please contact our President. Board meetings begin at 6pm and generally run until 9pm, and are held at the Seattle Program Center in Cascade A+B. We also host two Board Retreats every year (which are noted with an asterisk in the list below). Board meetings are not open to the public, but members of our community can ask to attend. If you have any questions regarding a Board Meeting please contact Ken Mullins for more information. New officer terms officially started March 17, 2018. Lorna is an attorney in Everett, Washington, where her practice involves general civil litigation. 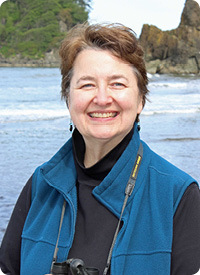 Prior to assuming the office of secretary for The Mountaineers Board of Trustees, Lorna served as the chair of the Everett Branch. 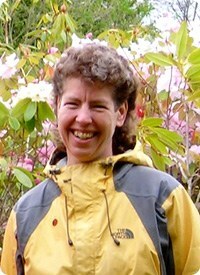 She has lived most of her life in Western Washington and grew up in a Mountaineers family. Lorna has fond memories of learning to ski during family weekends at the Snoqualmie and Meany Lodges. She enjoys skiing, snowshoeing, hiking and scrambling, and appreciates the camaraderie and shared adventure that comes with membership in The Mountaineers. 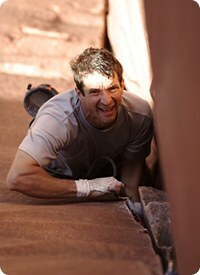 Geoff joined The Mountaineers to take the Basic Climbing course shortly after moving to Tacoma. He continued on to Intermediate Climbing and become involved with branch leadership, first on climbing committees, followed by serving on the branch council and then as branch chair from 2010 – 2013. During that time, Geoff participated in many exciting things happening in the Tacoma Mountaineers, including the renovation of the 55 year-old Clubhouse into the Tacoma Program Center and the installation of an indoor climbing wall. He continues his volunteer involvement as VP Outdoor Centers. Vik Sahney believes that an outdoor life is a life well lived and seeks to inspire and enable others to reach their outdoor potential. Over the last 4 years Vik has held senior roles at REI Co-op leading overall strategy and sustainability. 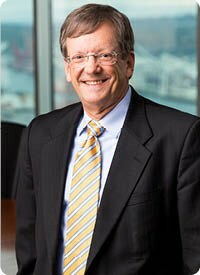 Prior to REI, Vik was an Associate Principal in McKinsey & Company’s Seattle Office, where he spent 8 years consulting for global industrial clients including in China, Australia, and the UK. He holds multiple degrees in engineering and business from the University of Michigan and MIT. Vik's outdoor adventures include high altitude mountaineering, where in 2011 he became one of ~350 people and the first Indian-American to complete the 7 Summits, summiting the tallest peak on each continent. 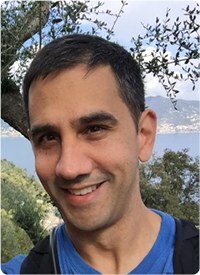 Vik serves on the Board of Director's for the Mountains to Sound Greenway Trust, The Mountaineers, and the American Alpine Club. 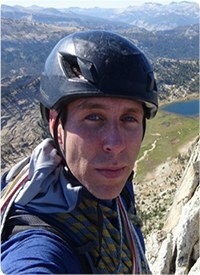 He is a graduate of the Mountaineers Intermediate Climbing and Climbing Self Rescue courses and is a Climb Leader. His present outdoor interests include waterfall ice climbing, trad rock climbing, and he aspires to be a real trail runner. He lives in Seattle with his wife and two young daughters. Eric joined The Mountaineers to learn about the mountains in his new home of Seattle, shortly after moving here in 2001. He’s been outdoors for as long as he can remember and continues to help others learn and explore the natural world. His favorite Mountaineers experience involves kids and seeing them develop a passion and love of the outdoors. Professionally, Eric has spent his career in high tech, usually focused on large systems. He works for a technology company focused on public transit. When he’s not at a Mountaineers meeting, he’s leading scouts, lifting something heavy, or taking his family on all sorts of crazy adventures (usually outside). 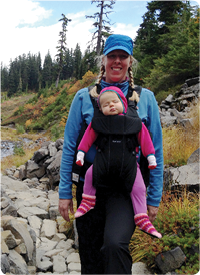 Carry’s love of the outdoors started with childhood hikes to the Paradise Ice Caves on Mount Rainier with her family. 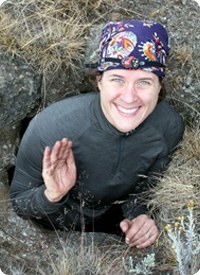 In 1999, she joined The Mountaineers to take the sea kayaking course through the Tacoma branch, and has gone on to graduate from the Seattle basic and intermediate climbing courses. 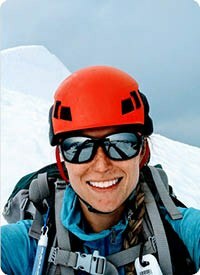 She loves sharing the outdoors with people, which is why she is an active climb, scramble, ski, and photography leader. When she is not volunteering with The Mountaineers, Carry is a practicing attorney. Prior to becoming an attorney she spent nine years working as a marketing executive for MSR, Cascade Designs, Cascade Bicycle Club, and other local companies. Evy originally joined The Mountaineers in order to take the Sailing Course, after moving here from Wisconsin. She served on the Board of Directors from 2014-2016 as the Secretary, and from 2011-2013 as the Everett Director, and currently assists with the Governance Committee and the Mountaineer magazine. With a BS degree in Electrical Engineering from Michigan Technological University, Evy spent 23 years in the telecommunications industry, and then became the Product Certification Manager at Beanfields PBC. She’s a member of the Everett Sail and Power Squadron and the Upper Edmonds Book and Cake Society. Her passions include sailing with her husband and their dog, cross-country skiing, pumpkin carving and reading Mountaineers books. Growing up in the PNW, Brynne Koscianski fondly remembers ascending to the top of a neighbor's basketball hoop via Texas prusik - practicing before a family climb of Mt Baker. A second generation Mountaineer, she recently graduated from the intermediate glacier travel course and is working to become a climb leader. 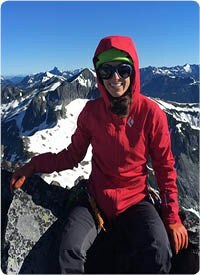 Brynne enjoys climbing, trail running, skiing, and paddling around the beautiful Pacific Northwest with her husband Ryan, heeding the call of their family motto: "it doesn't have to be fun to be fun". A graduate of Yale University, Brynne is a product development leader at Amazon where she leverages customer-centric design to develop and launch new products. Passionate about advocating for women and girls in the outdoors, Brynne has also served on an advisory council for Girls on the Run, a non-profit organization inspiring girls to be joyful, healthy, and confident through running. "My favorite Mountaineers photo is from 1911, showing a group of men and women climbing Paradise Glacier in Mount Rainer National Park. Balancing on a high heeled boot, a woman jumps across a ridge in the snow - her long wool skirt pulled taught mid-stride. As thankful as this photo makes me for modern climbing gear, it also reflects something I love about The Mountaineers: from the beginning, this community has been formed with the values of equality. 16 years before women had the right to vote in Washington State, we made up nearly half of the 110 founding members of The Mountaineers. I'm proud to follow in the footsteps of these female adventures, risk-takers, and leaders, and appreciate the power of the outdoors to generate meaningful connections across a diverse community. We come together through the common language of exploration, perseverance, and love for our wild places." Martina is a graduate from Princeton University and received her MBA from Harvard Business School. She brings over 10 years of retail experience in product management and strategy at Amazon.com, Starbucks Coffee Company, and The Parthenon Group. 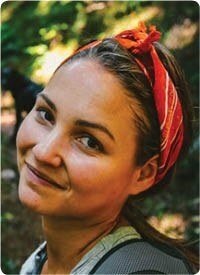 Martina has shared her passion for the outdoors by volunteering as a Peace Corps volunteer, with Youth Enrichment Services (Boston), and is a past co-chair of the Sierra Club’s Seattle Inspiring Connections Outdoors (ICO). Martina and her husband, Mike, love to explore the outdoors with their daughter, and are avid hikers, bicyclists, sailors and skiers. Mark Kroese has been exploring the high and wild for 40 years. He thrives in the confluence of outdoor adventure, visual storytelling and environmental goodness. Mark has travelled extensively — from Chamonix to Madagascar — and considers himself lucky to have seen some of this planet’s most exotic and pristine places. His idea of a good time is a well-planned adventure gone awry. Mark began his career in the ad agency business, and then spent twenty years at Microsoft. Post Microsoft, he has worked at several tech start-ups, consulted with growth companies in the outdoor and active lifestyle space, and spearheaded a large “REDD+” land conversation project in the Democratic Republic of Congo (DRC). Mark has climbed a lot of mountains, his book, Fifty Favorite Climbs in North America, was published by Mountaineers Books, and he recently completed a term as President of the American Alpine Club, an organization that supports climbers and the conservation of mountains landscapes. Mark has also served as Vice President of the Access Fund, and is an Advanced Leadership Fellow at Harvard University, and has served on The Mountaineers Books Governance Board. Mark believes we are at a unique point in history – one where we have unprecedented technology and tools to develop innovative solutions to the world’s biggest problems. 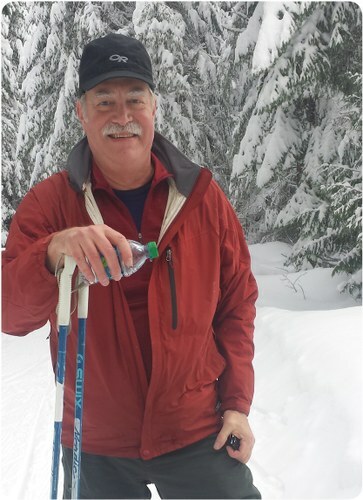 Mark resides in Bothell, WA, but he spends as much time as he can in the mountains. After receiving a hot-off-the-press Freedom, 2nd Edition, from his folks in 1967—followed by decades of good intentions—Steve finally joined The Mountaineers in 2010. A Seattle native, Steve gained a love for our wild spaces as an Eagle Scout and from growing up in a family of skiers. He remains an avid hiker and cyclist, and is an instructor for the new Alpine Scrambles Intense course. He loves week-long scrambles of peaks that most people never notice. He might make it past Ingraham flats some day but would prefer to glissade from the top of "Mt. Never-Heard-of-It." Steve is a CPA and a partner with Tatum, a national consulting firm of CFOs. He has served on the finance committee since 2010. and was Board of Directors Treasurer from 2012-2016. 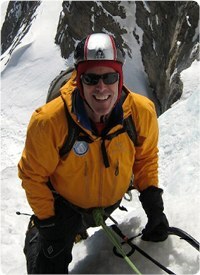 Roger Mellem is a longtime mountaineer, and Mountaineer. In 1974 he stood with the late Willi Unsoeld and two others on top of Laila Peak (Rupal Valley) in northern Pakistan. At 6,132 meters (20,118 feet) high, and with two ice falls each as large as the Nisqually ice fall on Mt. Rainier, this beautiful Himalayan peak had never before been climbed. 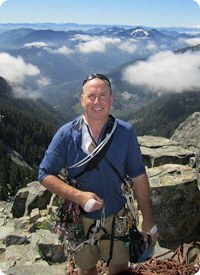 In 1998, Roger passed Basic Equivalency and enrolled in our Intermediate Climbing course. For the past several years, Roger has been an active member of our event fundraising committees. A Peak Society member, he recently became a non-board member of our Governance Committee, where he is helping to identify potential new board member candidates. A former Outward Bound instructor, and later a member of the Northwest Outward Bound School’s Washington advisory board, Roger appreciates the value of outdoor education and supports The Mountaineers’ mission in this regard. 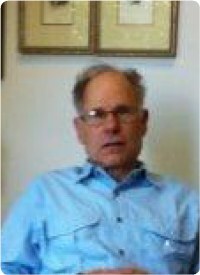 An avid wilderness conservationist, Roger is past President and Board Member Emeritus of Washington Wild, a conservation organization with which The Mountaineers regularly partners to advocate for protection of our threatened public lands. He is also a member of the international Leadership Council of the Yale University School of Forestry and Environmental Studies. Roger is a member of the Executive Committee of Ryan, Swanson & Cleveland, a Seattle law firm where he practices securities litigation. He earned a Master of Studies in Law Degree from Yale Law School, and a J.D. from the University of Oregon Law School. Roger's combination of mountaineering, conservation, outdoor education, fundraising, legal, mediation, and board leadership experience should enable him to make a positive contribution to the Board of Directors. John started his service as a director in 2009 and served a term as Board Secretary. 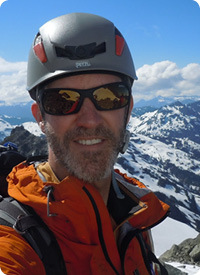 He has chaired the Building Operations Committee, served as a Seattle Branch Safety officer for several years and has taken on multiple responsibilities within the Seattle Climbing Committee where he is a Climb Leader. He also keeps his Mountaineers burner going at other levels, as a Freedom 8 & 9 author and Part 1 Chair, and with his involvement in the program center renovation and construction of the center’s climbing walls. He holds electrical engineering degrees from MIT (SB) and Stanford University (MS, PhD). "I grew up in Seattle, learned to climb with the Sierra Club, was a Professor and telecommunications executive, then retired and returned 17 years ago, embraced our courses and learned much. I enjoy volunteering for The Mountaineers as a payback. I consider us an activities-based organization with vital educational and conservation roles, which I embrace and support." "I offer my corporate skills in decision-making, marketing, negotiations and consensus management. I have an unyielding view of budgets (every operation’s true cost must be visible), many years of managing multi-million dollar budgets, plus a fervent belief that leadership is action, not just a job title." "Reaching the summit is optional. Getting down is mandatory." --Ed Viesturs, No Shortcut to the Top. 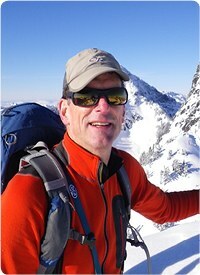 Jim Purdy is founder/partner of Waypoint Outdoor, a Seattle based Sales Agency which works in the Outdoor Industry. Jim moved to Seattle in 1987 to take advantage of the amazing rock climbing at Index and the surrounding Cascades and found a home at the Swallows’ Nest climbing shop from 1987-1991. In 1991, Jim accepted a position with the Vancouver, B.C. based climbing brand Arc’Teryx which would form the cornerstone of his sales agency. Today Waypoint Outdoor and its 30-person team represent multiple brands across the Outdoor Industry both in the PNW and across the US. Jim remains passionate about the all the PNW has to offer and enjoys a wide spectrum of outdoor activity with his wife Kirsten and their children Maia and Lars. "For all of us that consider time outdoors essential to life and have found assurance and stability in the unpredictable environs of the mountains; there has likely been an influential person or organization that has connected us to the outdoor lifestyle. After a childhood filled with camping in Michigan; for me it was my sister, Krista, who introduced me to the joys of skiing, backpacking, climbing, and biking in the mountains. It was this foundational influence that also fueled my career choice to link millions of co-op members to the outdoors via my role as the REI Flagship General Manager here in Seattle. "For over 100 years; through remarkable volunteer leaders, the very best in outdoor books, and the endless array of classes and programs, The Mountaineers have provided the vital influence for countless adults, children, and families to safely connect with the outdoors and even more importantly, to each other! I am thrilled and extremely honored to be a granted the opportunity to serve The Mountaineers members and the outdoor community on the board of directors. It is serendipitous; as REI and The Mountaineers have a long history of affiliation that dates back almost 75 years. I am proud to be a part that strong history of partnership; as both organizations have been fixated on getting people outside and protecting our wild places for future generations. I am excited to contribute to the continued health of The Mountaineers; as our capacity and potential to deliver on our core purpose is profoundly important to me as an avid outdoor enthusiast as well as an outdoor industry professional." Steve has been climbing all over the world for 46 years and retired from a 35-year career as a water resources consulting engineer. He joined The Mountaineers in 2012 when he was the President of the American Alpine Club in order to better coordinate climbing related issues and programs on both a national and regional level. "I joined the board because I’m interested in the challenges facing The Mountaineers to provide instruction to the new generation of climbers who start out in indoor gyms. I’m also interested in addressing the challenges of building a younger and more diverse membership." Sue moved to the Northwest from New Hampshire with her husband and young children in 1992. They began to camp, hike and backpack to explore this beautiful place and they gained an ever increasing love of the outdoors. 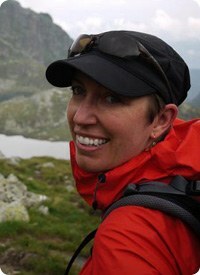 She joined the Mountaineers in 2003, initially to take a Sailing Course and then went on to complete Cross Country Skiing, Introduction to the Natural World and Alpine Scrambling. 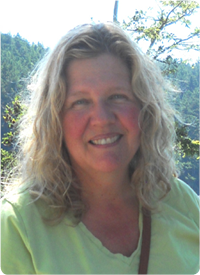 Currently she is actively involved with the Kitsap Branch as Vice Chair, a hike leader, and chair of a newly formed Naturalist Committee. When she’s not outside exploring the Northwest, she is a Product Developer for Universal Forest Products, a national building products manufacturer, and helps bring innovative new building products to market. Maura fell in love with the incredible Pacific Northwest outdoors when she moved here after growing up recreating in rural Northern California. After a first decade exploring from home bases in Seattle and Tacoma, she moved to the Bellingham area and joined the Mountaineers. Through the Basic Mountaineering Course and the Bellingham branch, she found instant community and a new backyard with seemingly endless potential for adventure. 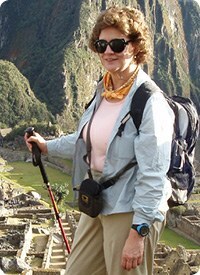 Now an Intermediate Mountaineering Course student, Maura is honored to represent the branch on the Board of Directors. When she’s not climbing, trail running, mountain biking, skiing or traveling, Maura works in Communications for the Brand Stewardship and Impact division of REI Co-op. She believes strongly in the transformative power of the outdoors, and loves building strategies, telling stories and bringing people together for experiences that unlock this potential. With the profound ties between the outdoors and physical and mental health, Maura believes that making the outdoors for all is an urgent opportunity. 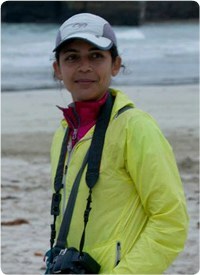 In service to this, she strives to apply lenses of conservation, access and inclusion to everything she does. I arrived in the Pacific Northwest in 1979 from Massachusetts via Vermont, Illinois, Alaska and California, and joined the Mountaineers around 1980 to take the Basic Refresher Climbing Course. During a 20 year hiatus from the Club, I was active in a Boy Scout Troop as outdoor activity committee chair and leading backpacking, hiking, canoeing and winter camping trips with my 3 sons, including 8 50-Milers. I rejoined the Club in 2000, and lead backpacking, hiking, skiing, and snowshoeing trips, and served three years as a branch safety officer. Before retiring in 2013, I worked in private practice as construction lawyer for 34 years, using both my SB in Civil Engineering from MIT and JD from Stanford Law School. Retirement allows me more time for skiing, backpacking, hiking, biking, scrambling, and volunteering with the Mountaineers. Greg has been enjoying the mountains since his years with the Boy Scouts in Southern California. 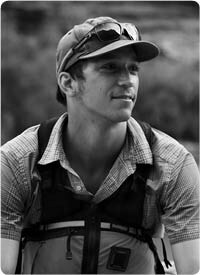 He joined The Mountaineers in 2009 to make it easier to meet people who shared this love of the outdoors. Since then, he has completed a number of Mountaineer courses and helped out on several leadership committees including The Mountaineers’ Collaborations Task Force. 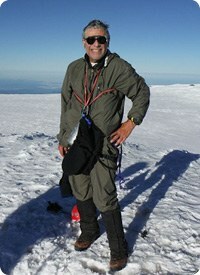 He has also served as branch chair, MOFA/first aid instructor, and hike leader. Greg believes our organization is strong and that our muscle lies in our commitment to quality education, conservation, stewardship and community. As a Mountaineer his focus is to continue efforts to achieve a balance between adult and youth programs, encourage and retain our indispensable volunteers, and strengthen our branches. Greg holds degrees from Humboldt State University and the University of Washington. 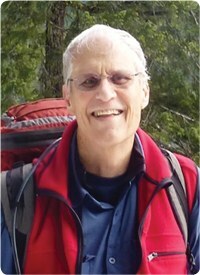 Before retirement from Washington State’s Recreation and Conservation Office, Greg chaired the State Governor's Council on Environmental Education and co-founded the State Trails Coalition. 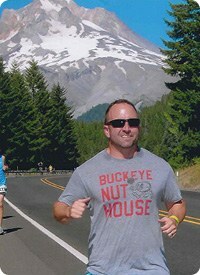 Annually, he helped plan the state trails conference and volunteered with the Big Brothers-Big Sisters organization. During a four-year stint in South America with the Peace Corps, he also helped plan and develop trails and other recreational facilities. Patrick joined the Mountaineers after a precarious ascent of Mt. Shuksan. That trip made it very clear that he had a lot to learn about safe mountain travel. He says, "I owe a great debt to the Mountaineer volunteers who devoted their time and energy to teach me to be a safe and technically proficient climber and back country skier." Patrick has continued his involvement with the organization because he feels an obligation to repay that debt by teaching others what he have learned. Additionally, he is a land use attorney, and has assisted the Mountaineers on numerous land use and environmental issues affecting our present use of natural areas and their preservation for future generations. "The Club's success and longevity are attributable to the hardworking members and staff whose shared vision and collective talents have introduced thousands of people to an outdoor lifestyle and have forged a legacy of environmental stewardship. In my 20-plus years as a Mountaineer, I have watched the Club evolve to meet new challenges and to better serve our members. Whether it is introducing new family-oriented recreation opportunities or commenting on the latest National Park plan, Mountaineers' members are making a difference and ensuring that the Club remains a vibrant force for good in our community. I am proud of the Mountaineers' tradition and my association with this amazing group of people." 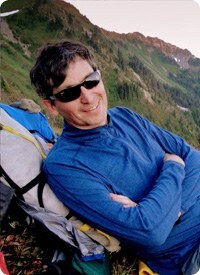 Richard Levenson joined The Mountaineers in 1978 after years of hitchhiking and backcountry roaming, passed the Basic Climbing Course of that era and began pursuit of a life in the practice of law in Tacoma. Years and many ridgelines and high camps later, Richard re-joined The Mountaineers, took the Basic Climbing Course of the modern era, and got hooked again on the camaraderie and consciousness that is The Mountaineers. Richard brings with him to the Board a bookish skepticism backed by a motivated appreciation for the organization, its people and its goals. 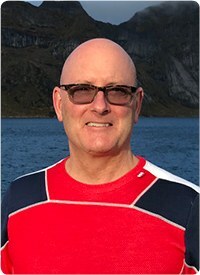 Matt Vadnal first joined the Mountaineers in 1980 when he moved from Pittsburgh to explore the mountains and waters of the Pacific Northwest. 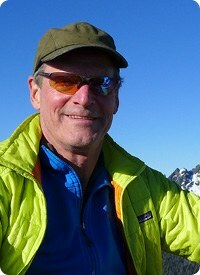 Job and family obligations curtailed his outdoor activities until 2000 when he became a Co-Coordinator and Lead instructor for Everett’s Nordic Ski Course. Currently, Matt leads hikes and cross-country ski trips. He has completed the following courses: Alpine Scrambling, Avalanche, Back Country Skiing, Basic Climbing, Sailing, Sea Kayaking and Snow Shoeing. From 2005 through 2016, Matt served three “tours of duty” as the Everett Branch Chair. During his legal career, Matt was a Deputy Prosecuting Attorney for Snohomish County and a Trial Attorney with the U.S. Department of Labor. He also served as a Judge Advocate (JAG) officer in the Army Reserve attaining the rank of full colonel. Ken Voeller has been lucky enough to work for some of the most inspiring brands in the outdoor industry including Mountain Hardwear, Clif Bar, Nuun, Bramble, and is currently leading the re-commerce initiatives at REI. He's called the American West home for most of his life, and spends as much as time as possible skiing, biking, and climbing his way through the Cascades Mountains in Washington and the San Juan Mountains in Colorado. Isabel joins The Mountaineers with 6 years of experience in general management, financial forecasting, and brand building with a variety of Pacific Northwest organizations, including REI, Nordstrom, and zulily. A UCLA alum, past D1 athlete, and MBA candidate of UW's Foster School of business, Davis brings extensive experience and intensity to the retail industry. Currently, as a Forecast Analyst for REI, she is close to the challenges facing the Outdoor Industry and recognizes the importance of this special industry to the health of the overall economy, public lands, and the next generation. Her expertise has also impacted another special local organization. As a consultant to Washington's Baywater Shellfish, she assists in helping this small business run a sustainable farm and be a leader in the industry's impact on ocean acidification. She is also currently exploring what it could look like for the community she grew up and currently lives in, Bainbridge Island, to bring forth a more diverse and inclusive art community. A passionate outdoor adventurer who recreates with the seasons, she has explored many wilderness areas of the Pacific Northwest and considers the Olympics her home range. "To me, the Pacific Northwest is such a great example of bio diversity, and we are lucky to get to adventure in and appreciate it! As active players in this place that we call home, we also have a responsibility to protect these lands for future generations to fall in love with. I love the challenges we currently face to do just this, and look forward to meeting others who enjoy this part of the world!" Please see the Staff page for details.